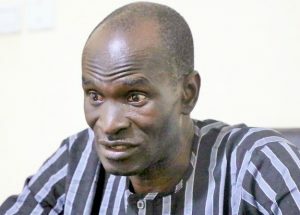 By Sadiq Umar – An Abuja magistrate court on Monday struck out the suit against a journalist, Jones Abiri, for lack of jurisdiction. Mr. Abiri, a Bayelsa-based journalist is standing trial over an alleged involvement with a militant organization, Joint Niger Delta Liberation Force. Magistrate Chukwuemeka Nweke dismissed the case following submission by Mr. Abiri’s lawyer, Samuel Ogala, that the case ought to be transferred to Bayelsa State where the alleged offences were committed. The court stated that the offence for which the journalist was arraigned before the court amounted to criminal intimidation under the Criminal Code and the court could not entertain the trial because the offences were allegedly committed outside its jurisdiction. The magistrate acknowledged that Bayelsa, where the alleged offence was committed, is indeed outside the territorial jurisdiction of the court. Mr. Nweke ruled: “That the court has the duty to uphold doctrine of fair hearing, which guarantees that an accused is charged within the territorial jurisdiction,” the magistrate held. “Section 112 (10) of Administrative Criminal Justice Act (ACJA) 2015 states that; ‘Where the evidence referred to in subsection (9) of this section has been taken or at any stage of the case, the magistrate is of the opinion that there is round that the suspect has committed an offence triable under this part, which such magistrate court is competent to try and which, in the opinion of the Magistrate could be adequately punished, the magistrate shall frame a charge stating the offence for which the suspect will either be tried by the court or direct that the suspect be tried in another magistrate court’. It would be recalled that, Mr. Abiri, publisher of Weekly Source Newspaper, was arrested by the Department of State Services (DSS) in 2016 and accused of being the leader of the joint revolutionary council of separatist group. He was also accused of threatening oil companies and demanding money from them. Mr. Abiri was arraigned in July this year after spending two-years in detention following public outcry. He was granted bail in August.